Enjoy the top 1 famous quotes, sayings and quotations by Florence Klotz. Your eyes will always go to red, which is why there is a lady in red in all my shows. Want to see more pictures of Florence Klotz quotes? 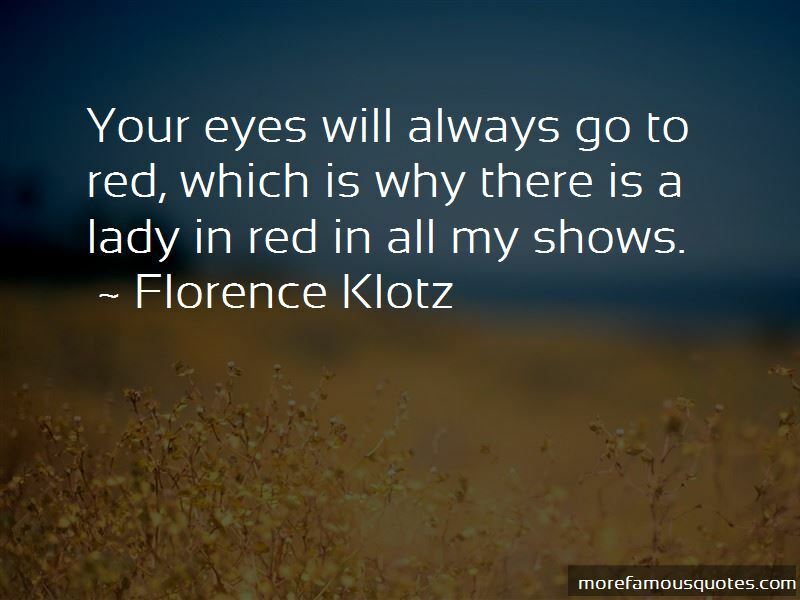 Click on image of Florence Klotz quotes to view full size. “Your purpose in life isnt to make money. It isnt to live a comfortable lifestyle, to prepare for your retirement, or even to” — Will Davis Jr.